My PC will not overclock!!! 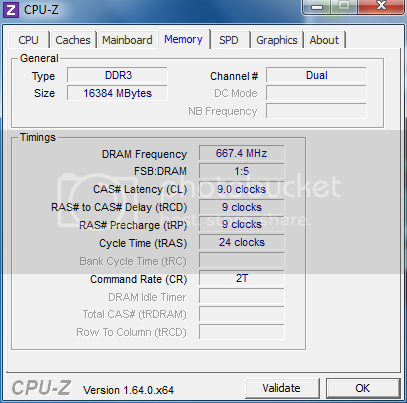 Hi all, I've been trying to overclock my pc but it just will not do it. I have a Gigabyte Z77 UD3H motherboard and an Intel i5 3570K CPU. It seems as though none of the BIOS settings do anything. First of all I have set XMP profile 1 on the memory which it says should set it at 1867mhz but I'm yet to see it go above 1334mhz yet. And I've also followed a video on youtube on how to overclock this exact cpu on this motherboard to the T, I've changed the clock ratio to 45 and tried both setting the voltage and leaving it at auto but no matter what my CPU will not go above 3800mhz. Or for some reason when stress testing, it will not go above 3600mhz even though it says it isn't being throttled. I've even changed the turbo ratios to 45 to try but still nothing. Any idea on why none of this seems to be working, am I just missing something really obvious. 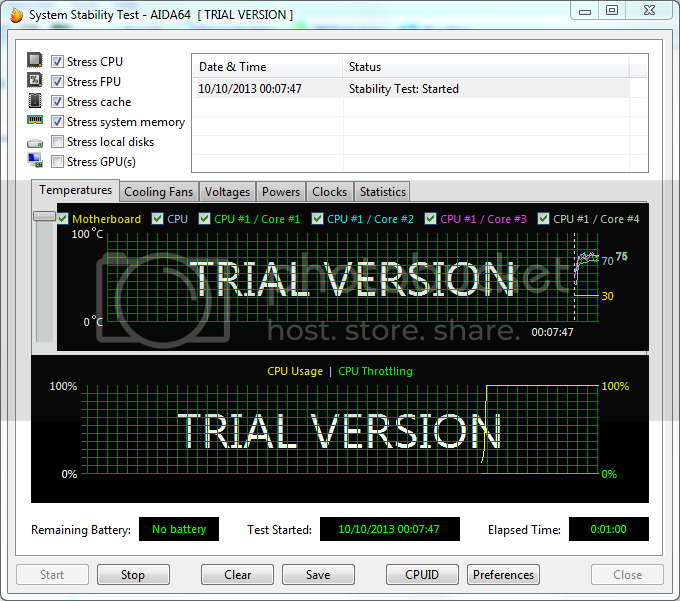 I have uploaded some screenshots of CPU-Z and AID64 stress test. Re: My PC will not overclock!!! All I can say is, activating XMP profile 1 should change the RAM frequency to 1600Mhz by default, if the RAM supports it. 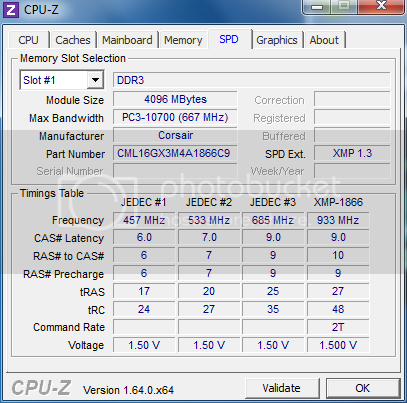 I suggest that you reset bios to default settings and update it if not done yet and make sure XMP profile 1 changes the RAM frequency to 1600Mhz. Not even sure if XMP should be set if you wanna overclock the CPU, but I'm saying this to clear any suspicion in the settings. Thanks for the reply. But still no luck unfortunately. I've tried resetting the bios to optimised defaults. Re enabled XMP profile and saved and restated but still nothing. Can't get it to go above 1334mhz. The bios is up to date with version F19e. Looks like XMP profile 1 sets the frequency to 1866Mhz in your system instead. XMP in your RAM is ver. 1.3 which is enhanced and utilizes it better. I guess it is set to XMP successfully as seen on the first screen shot just above. Lets have a little test. Try refreshing the windows experience index once with and once without XMP profile enabled in BIOS. If you get higher subscore with it on, then we reached a conclusion. Are you really for certain you have a K series? 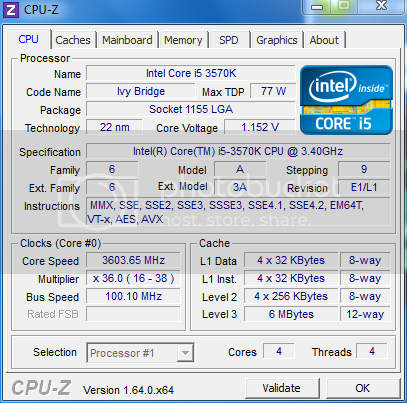 I have the i5 3570K chip and I can romp and stomp all over the gas pedal. But if you don't have a K series the gas pedal has a padlock on it. If you do have a K series try disabling the XMP profile or just don't use it. And try it again. CPU first then tweak the memory. Turn off Intel Speedstep. I have an i5-3570 (non-K) and I have it running 3.8 Ghz on all cores. I turned off Intel Speedstep and set the Windows power option to 100% at min and 100% at max. It definitely a K series, but will just keep trying. I just can't seem to work out why its not working. I didn't know if it's because it a Beta version of the BIOS, but I haven't seen anyone complaining about this issue, so I assume not? What cooler are you using on the CPU? I noticed in one photo that the CPU temp was 51C. If that's just in the BIOS, I would imagine it would get much hotter under load and throttling. I've managed to overclock it. At last haha. I used Gigabyte's easytune 6 which actually did the trick. I've only upped it to 4ghz at the moment as I only currently have a stock cooler installed. I do have a H100 to fit but that's at home and I'm at uni so until I go home it will have to stick at that. What cooler are you using on the CPU? I noticed in one photo that the CPU temp was 51C. If that's just in the BIOS, I would imagine it would get much hotter under load and throttling. Nice, glad to hear you got it working.